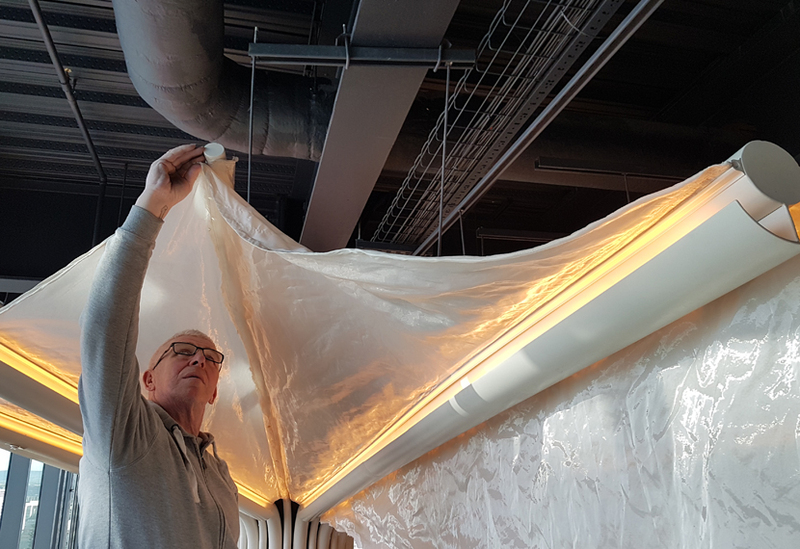 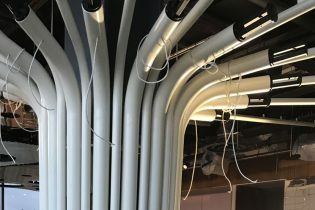 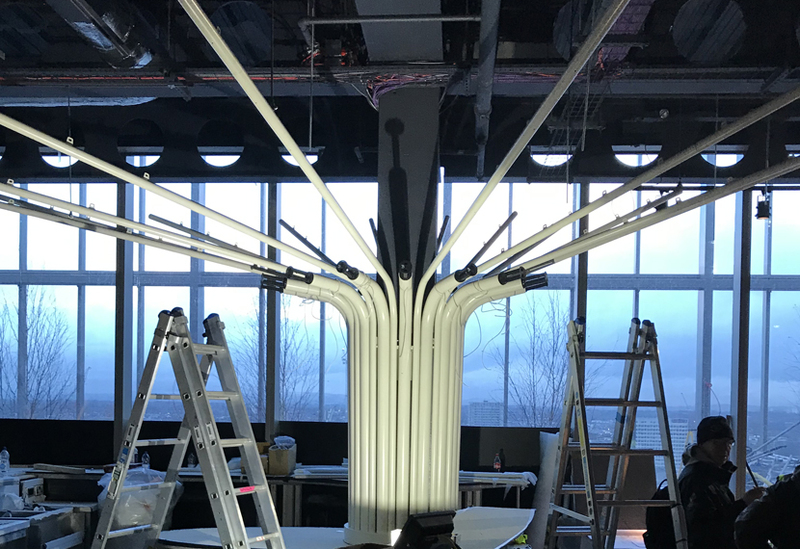 Manufacturing this stylish and complex canopy for a new restaurant in Manchester called for some intricate metal work and logistical planning. 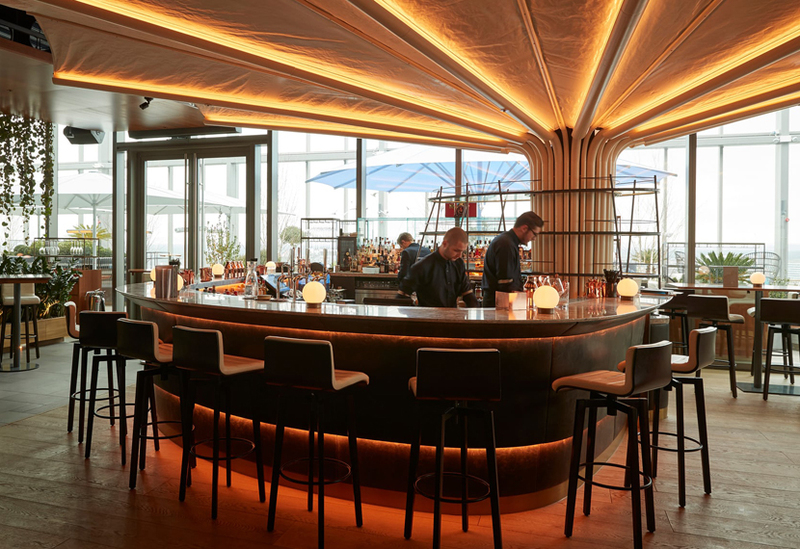 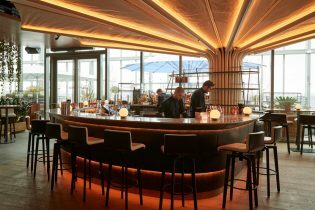 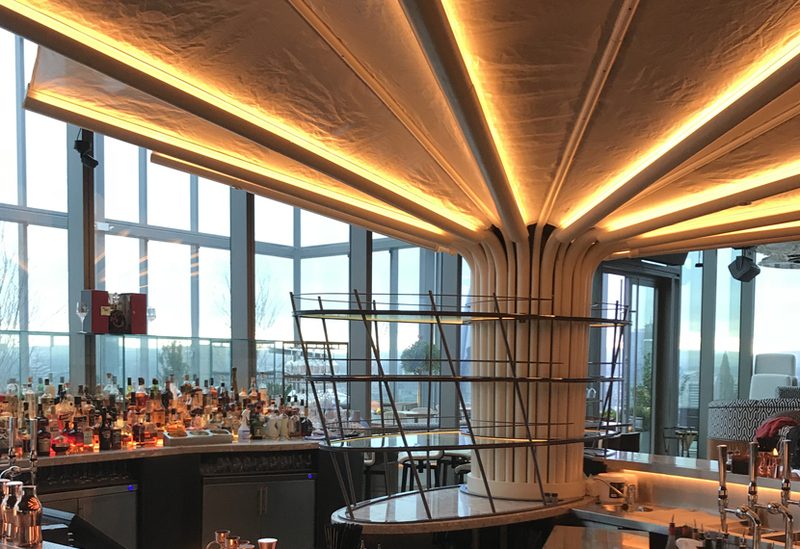 Thirty-two steel tubes rose 3.3m up a central column, radiating out to create a 7.2m elipse suspended over the restaurant bar. 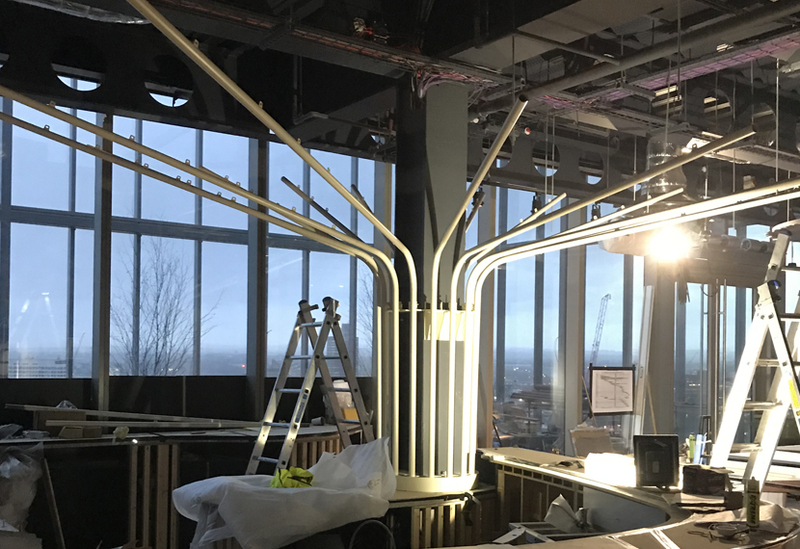 Access to the restaurant on the building’s 19th floor, however, was via a lift with the maximum dimension of 3.2 metres, a restriction that duly informed the fabrication process. 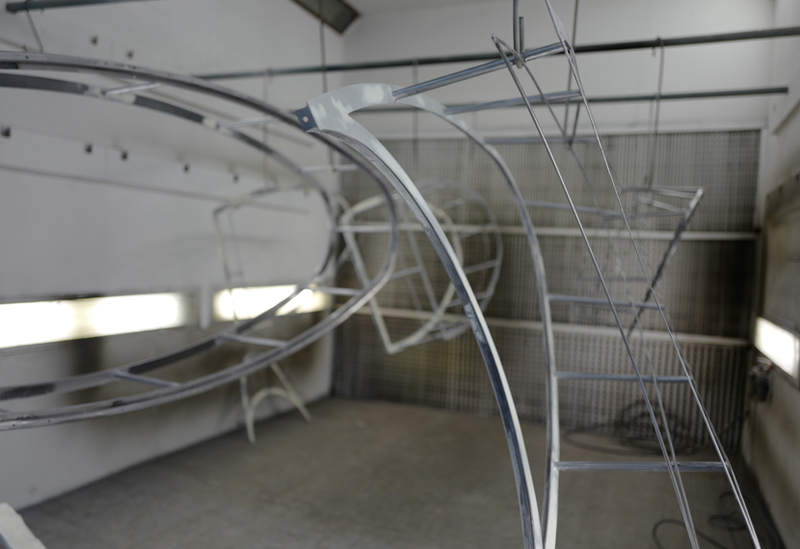 The canopy’s oyster-white steel structure comprised alternating 76mm and 42mm steel tubes. Fixed to an existing column, the lateral arms spread out to form a framework for the canopy fabric: an upper layer of blackout material, screened by a decorative underside of a specially imported Italian metal mesh fabric. 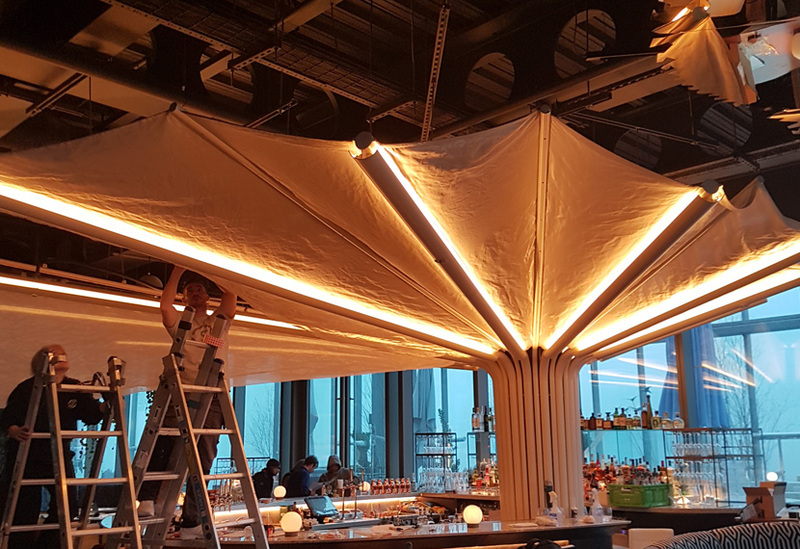 Eyelets along the length of each supporting arm facilitated the tricky tensioning process, while bespoke bracketry neatly concealed LEDs and directed the light up onto the metalised fabric. 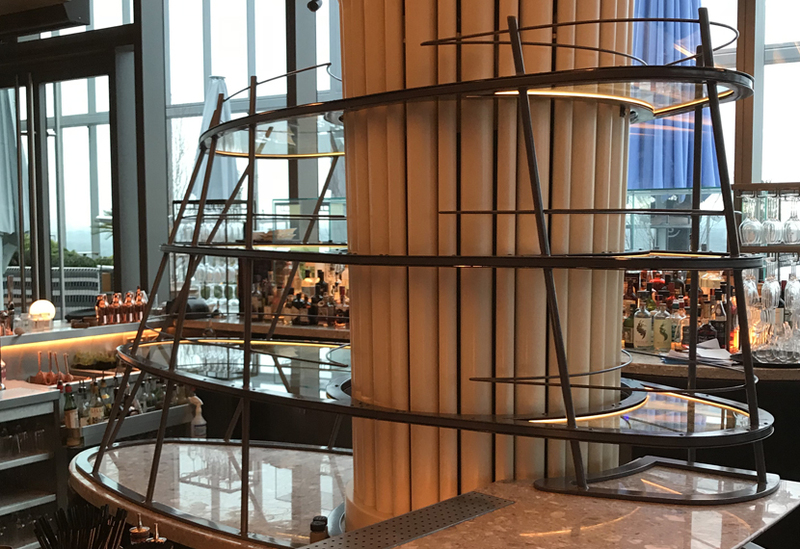 We created an additional bespoke shelving unit that fitted neatly around the central column of the bar. 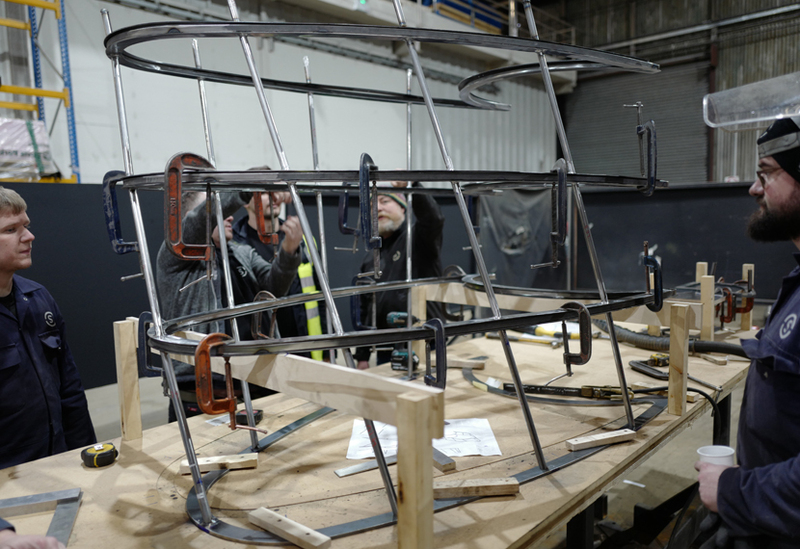 The elegant, twisted steel tube frame supported four glass shelves.